As you may already know, I have enrolled in the Rouxbe Plant-Based Certification Program!!! You know what that means?? It means I’m going to be posting lots of new recipes for you all and gathering even more to hopefully be release in a book format soon!! 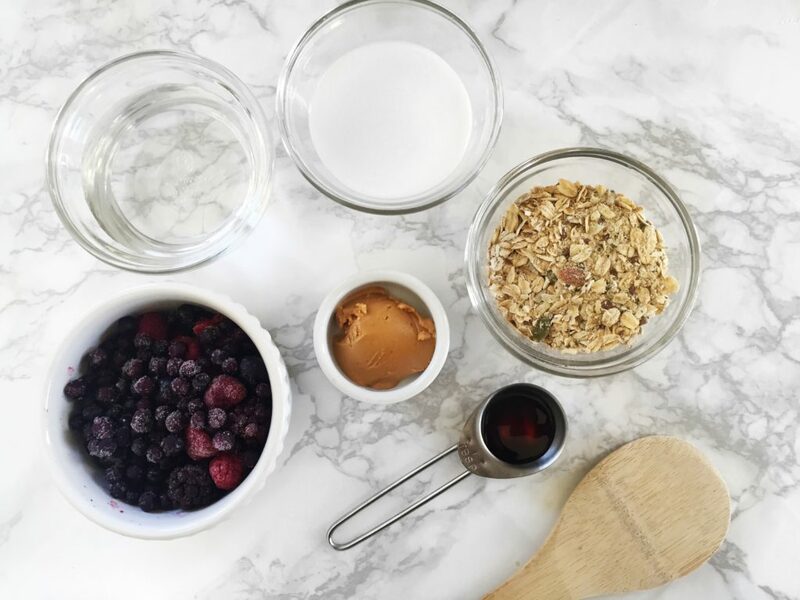 Once you’ve cooked your oats, it’s time to mix all the ingredients together! 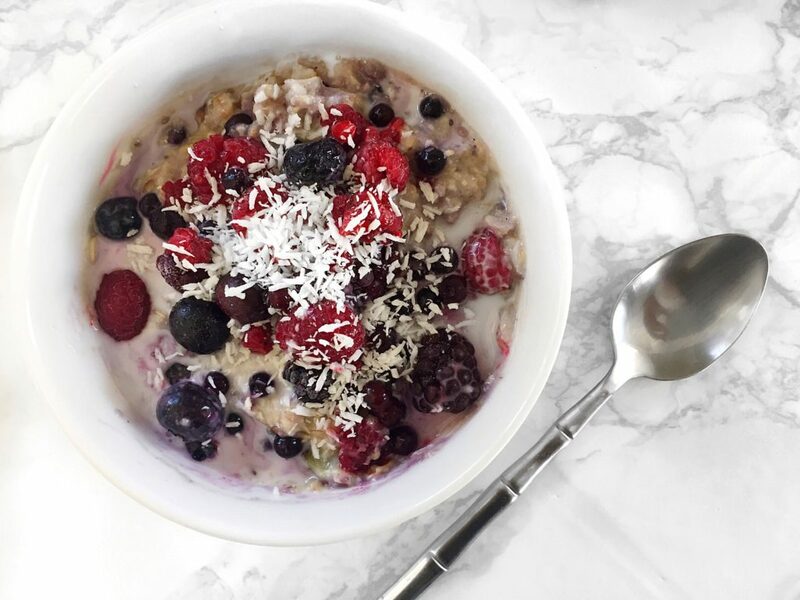 I like to save some fruit, maple syrup and coconut to add to the very end…. Once everything is stirred together top with remaining ingredients! This is a great late breakfast or lunch idea! Nutritious and hearty these oats pack protein and the flavor of a peanut butter and jelly sandwich! Add bananas, dates, apples, more nuts/seeds and/or cinnamon. Cook oats according to product instructions. 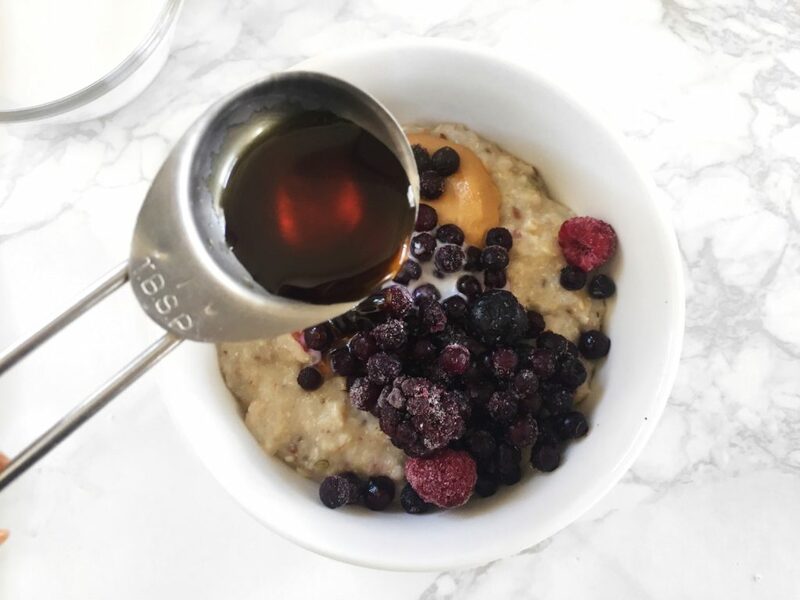 Once oats are cooked, stir in mixed frozen berries to soften. Mix in nut butter, maple syrup and half of your coconut milk. Once everything is stirred together, top with remaining coconut milk, maple syrup and coconut shreds.